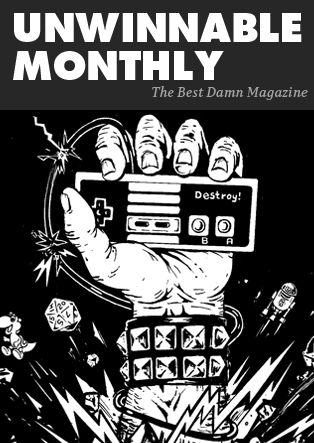 This is an excerpt of a feature from Unwinnable Monthly #108. If you like what you see, grab the magazine for less than ten dollars, or subscribe and get all future magazines for half price. The moment in God of War (2018) where my heart sank the lowest was in Helheim, the Norse depiction of the afterlife. In this frozen hellscape, regrets materialize as ethereal figures acting out one’s greatest moments of failure. For Kratos, this moment was his murder of his father, the Greek god Zeus. The game presents this scene in first-person, as Kratos relentlessly beats his father, then the perspective slowly shifts to his son Atreus, who witnesses the vision. Atreus runs to a stunned Kratos, grabs him by the hands and tries to bring him back to reality. In that moment, Kratos’ shame became my own. The damage was done. Atreus saw his father was capable of unbridled patricide – a fact Kratos tried to hide from Atreus since his birth. The first God of War came out on the PlayStation 2 when I was 12 years old. I had no business playing it, but that didn’t stop me. As a young boy at the beginning of his teen angst, I reveled in the game’s gratuitous violence, the style with which it was executed and the way it made me feel, through Kratos, like a force not even a god could stop. In the series’ time exploring Greek mythology, God of War expects the player to lap up every moment of its senseless, often cartoonish violence, regardless of who finds themselves on the business end of Kratos’ blades. In the original God of War games, violence is a means of expressing power and dominance. It’s seldom for honor, protection or any of the reasons we typically associate as “justified” reasons for physical confrontation. 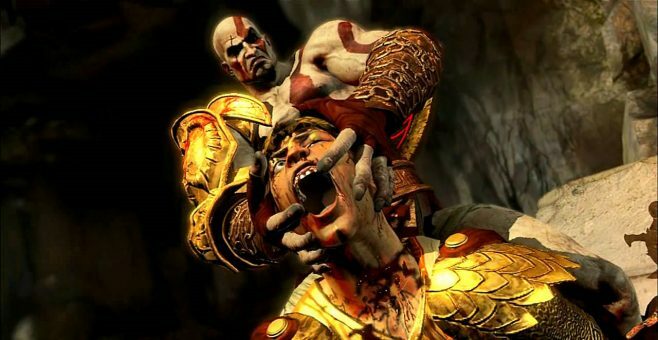 This goes beyond the violent acts the player commits as Kratos, but extends to the cinematic ways the games frame them. Take the murder of Hermes, the messenger god, in God of War III. After severing the speedy god’s leg to prevent him from running away, the player slowly walks toward the helpless Hermes as he crawls away, bleeding profusely from his wound. Catching up to him, Kratos picks Hermes up by his remaining leg and amputates it via a quick-time event. Then there’s the sun god Helios, whose execution at the hands of Kratos using his bare hands to pull the god’s skull from his body, is complete with button-mashing and a camera that zooms in on his neck as it’s torn in half. 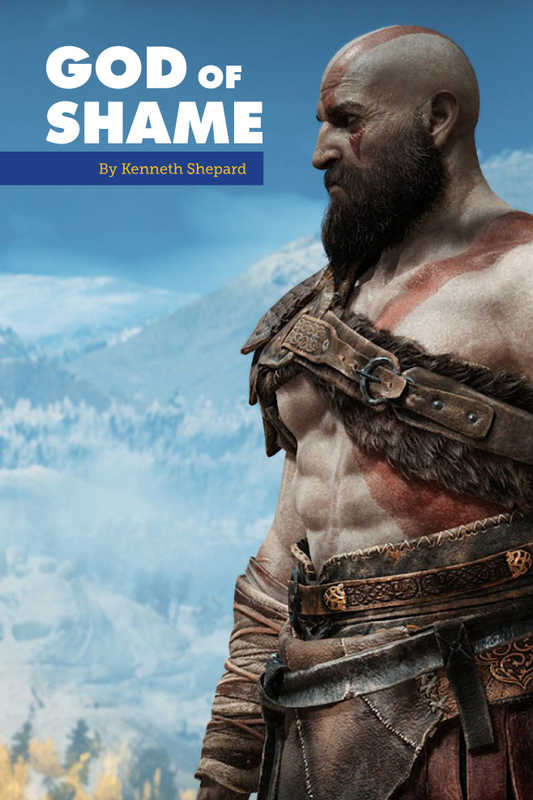 In 2018’s God of War, none other than Kratos himself stigmatizing this fetishization of violence. His changed view is on display early, both in scolding Atreus for carelessly acting upon his anger and in his own refusal to fight an antagonistic Baldur, the Norse god of light. Even when the conflict escalates and his son is threatened, the violence doesn’t devolve into the pornographic theatrics of God of Wars prior. The killing blow is quick, the game doesn’t linger on it and Kratos is not framed as an unstoppable force of carnage – rather, he is a desperate man doing what he must to protect his child. In the past, God of War treated its bloody battles as elaborate set pieces to explore the most brazen ways Kratos could annihilate another being. Here, violence is a dialogue with stakes, relative restraint and a knowledge that what has come before is not how things should be. Kenneth Shepard is a writer based in Georgia who cries about videogame characters in public places and on Twitter @shepardcdr.